Cranberry's renowned coated gloves are clinically proven to greatly reduce skin irritation from daily glove donning and hand washing. Our Moisture Lock series helps protect by preventing skin irritation such as dryness, itching, and cracked skin with unique lanolin and vitamin formulations. Latex gloves provide an excellent protective barrier due to its durability and integrity while remaining very comfortable to wear and easy to don. 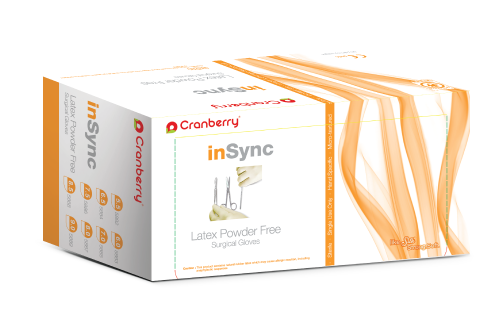 Cranberry offers powder free and powdered latex, all praised for their strength, soft comfort, and consistent grip. Our latex surgical gloves provide the comfort, tactile sensitivity, and increased barrier protection required during extended operating procedures. Available in powdered and powder free hand specific sizes, our surgical gloves are made for easy donning and reduced hand fatigue.